Susan Freeman of Pioneer Memorial Gardens of Moses Lake donated the jig for the Eikenbary-Pierce House project. TIPS: For the perfect joint on the Porter Cable 4216, all edges need to be lined up flush at 90 degrees. 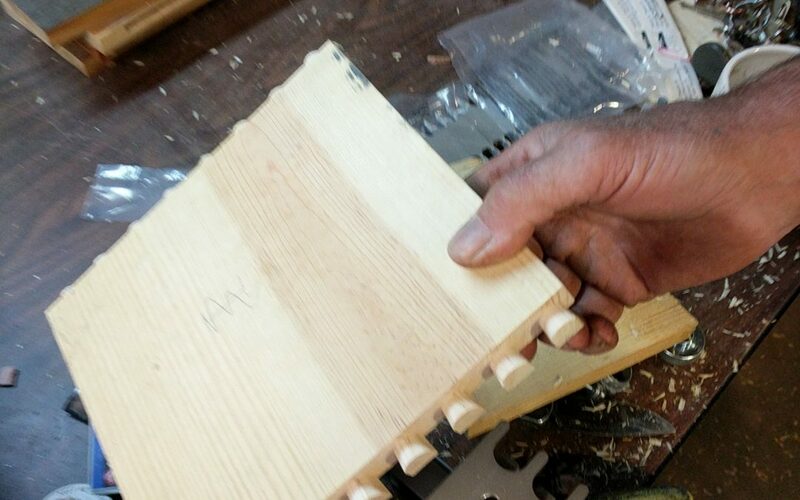 Even a 1/32″ shift will diminish the end result, especially with plywood, since sanding can cause fraying. Solid hardwood or a dense-grained wood works best. 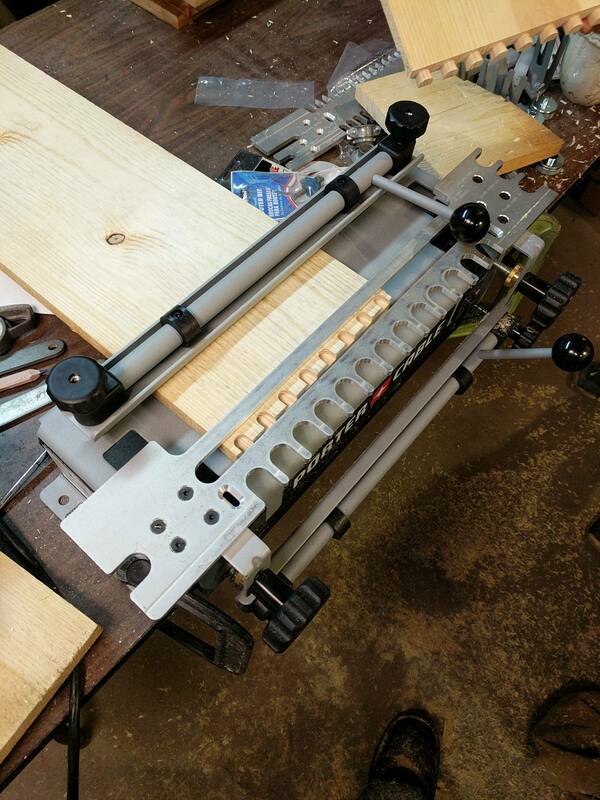 Practicing with the half blind template helps perfect your technique; and keep in mind that any add-on template guides need to be compatible with the 4216.